1. What are the purposes of custom CRM system? 3.3 How much does it cost to develop CRM software? 3.4 Why choose Savvycom as your CRM system provider? A custom CRM system is a specific software product created according to an organization‘s business goals. With this tailor-made solution, you can manage your relationships with existing clients effectively, and also boost the attractiveness of your business to potential customers. Nowadays, it is feasible to monitor and optimize all phases including leads, contacts and customers of developing the relationships with the customers by necessary tools for the custom CRM development, such as Customer Life Cycle and Workflow Management, the simple creation of statistics, user functions and the configuration of authorizations. What does a custom CRM system look like? CRM apps for different departments, based on the same database and meeting the specific needs of different levels of the organization. Many companies, especially newly small and medium-sized businesses are initially discouraged by CRM development costs and have to pay monthly payments set by major industrial companies such as Oracle, SalesForce, and others. However, storing business data in spreadsheets is not a long-term growth strategy. At all times, you have to decide to hire a CRM software development company to build the product for you rather than studying ready-made solutions. This guide will help you make the right decision and calculate the cost of each option precisely. You can rationally answer the question as to whether your decision-making process begins by creating and evaluating the list of predefined requirements for your CRM Web application. Off the Shelf vs custom-build CRM system | Which to choose? The definitive professional who chooses to implement a CRM system is that the product meets all of its requirements and adapts to unique business processes. On the other hand, some requirements in the Alpha product version may be difficult or expensive to implement, so they should be carried out in a different version, meaning that the total cost of custom CRM development will increase accordingly. If you choose to hire a CRM development company that is not particularly familiar with your domain, the company is hardly able to understand your specific issues and notice your unknown requirements. Therefore, at this time, you should compile a long list of all the required functions of the web application. Ideally, there should be a discussion among the different teams including sales, marketing, and customer service representatives to help you build the list of definitive characteristics. This will lead to the final solution that meets the collective requirements. Once you have a complete list, you must rank all requirements on a scale from 1 to 10 in term of the importance level. With the final release, you are ready to review and evaluate various custom CRM solutions and potential CRM development pricing. The list of requirements can be converted into a complete Request for Information Document (RFI) which could evaluate the supplier’s answers by adding a score for each feature/requirement. Based on the answers and additional assessments you have made, you can now rationally answer the question of whether a complete solution is ready to be used in the market or whether it is time to build your own CRM system from scratch. Create a customized solution for your business. Avoid certain requirements that are low in importance. Consider upgrading an existing solution with certain custom code elements. Now, let’s talk about the money and see if the hiring of developers for a project costs much more than buying an existing desktop SaaS or CRM product. The initial cost of custom CRM development typically starts at $50,000 or more; based on the purpose of the project and the requirements for the initial compilation. While the price seems to be taken into consideration, especially for startups, CRM systems tend to evolve continuously. Your investment will, therefore, be spread throughout 3 to 10 years. Most existing CRM systems and cloud-based CRM solutions usually have a price per user. In other words, the bigger your team is, the more you have to pay for your needs. Unlocking additional features and customs forms may require even higher monthly payments. Also, remember that your sales team will use the product every day, of course. But even if the marketing team or key management occasionally want access the system, you’ll have to pay for the daily use. Therefore, it might be forced to restrict access, but this could affect the overall efficiency and productivity of the business. 25 users X $125 = $3125 per month = $37,500 per year = $187,500 for 5 years. With the same amount of money, your company may have already created a customized and powerful CRM system that requires less investment in maintenance and potential technical support. One of the leading sports company in the world, which is known as the father of the first metal wood golf club in 1979, is an American manufacturer of golf clubs, bags and accessories. Some of the famous customers that can be mentioned are Tiger Woods, Rory Mcilroy, and Justin Rose. As they previously had no central system for tracking customer and end-consumer information, they were unable to analyse or view details of past interactions with their customers. Therefore, they demand to have an effective CRM system developed to enhance customer service experience. 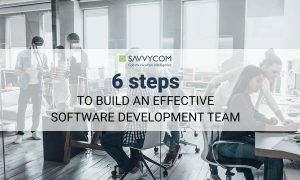 Among thousands of software development companies, they placed great trust in Savvycom to cooperate with. A CRM mobile app developed by Savvycom. Savvycom developed a smart mobile app that supports salesperson in providing the recommended golf clubs for customers based on their personal physical information. Using CRM software developed by Savvycom, the world-leading golf company has managed its customer data collection and planned the business strategy to improve their products and services and connect with customers at a higher level. The app has been regularly utilized as a helpful tool designed especially for TaylorMade authorized stores in more than 30 countries and helped to increase sales by 15% within the first years. While the CRM development might be regarded as a costly and unnecessary investment, the costs are usually justified if they are revived in the long run. Carefully conducting the evaluation and selection process is a way to avoid paying for unnecessary features or an inadequate product.